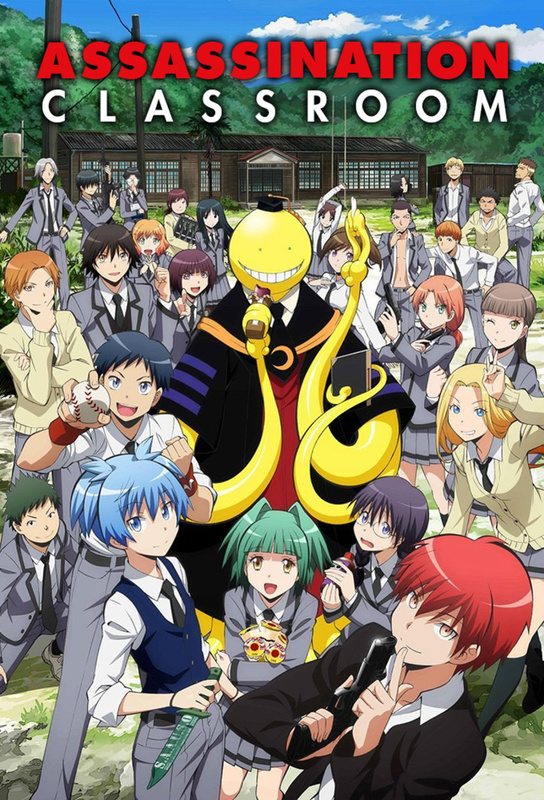 Assassination Classroom’s first season originally aired from early to mid-2015. The story begins after a strange creature cuts the moon into a permanent crescent shape and he intends to repeat his action on the earth. The yellow tentacled creature has the ability move and fly at Mach 20, can regenerate his body almost instantly and can not be harmed by any form of regular weaponry. For some strange reason, he insists that he must become a teacher and so the government assigns class 3-E of Kunugigaoka Middle School the task of assassinating him. The class soon dub the creature as Koro-sensei and begin studying under him. He teaches them mathematics, literature and the skills of becoming master assassins. The class will soon learn that the creature will prove to be near impossible to kill but also the best teacher they have ever had. My Review: Let me just start this by saying that there is probably something for everyone here. The show has a very bright and happy atmosphere along with some very light-hearted humour, making it perfect for the younger audiences. The show also has some more subtle humour for the older viewers. I thought the concept was quite unique and I really enjoyed seeing the students bond with Koro-sensei. In terms of plot, the show does a decent job visiting some very interesting plot points to keep the show fresh, however, I did find that the last few episodes seemed to drag on for a bit. There is quite a large cast of characters here but only a few ever really play an important part. Considering the main motive of the story the plot doesn’t really progress and I feel like there was a lot of history that could have been explored but instead is just brushed off.